Year 10 student Shannon Watson, whose writing has won her a trip to London to meet actor Peter Capaldi. 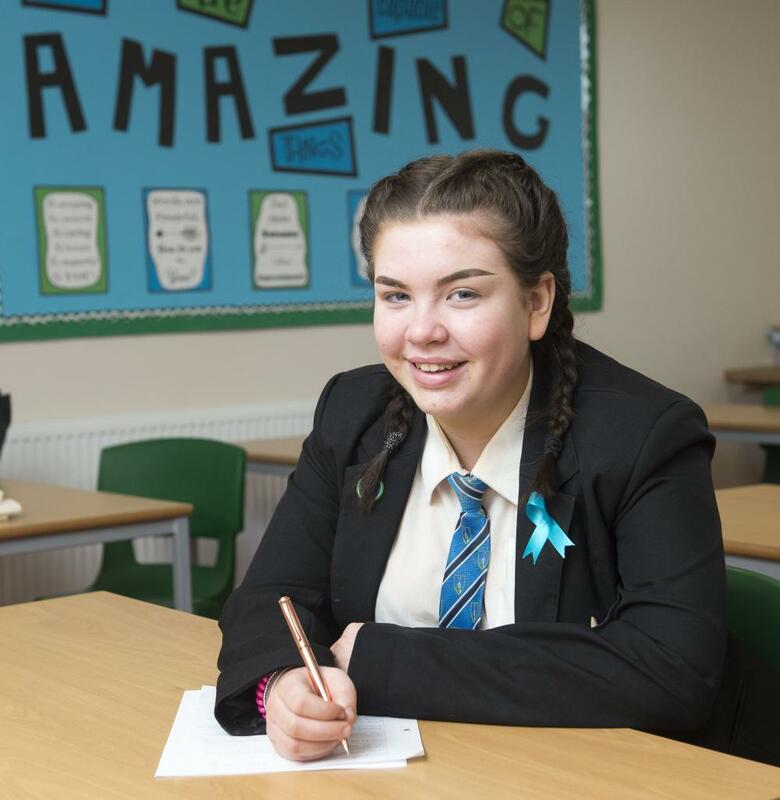 Louth Academy student Shannon Watson (15) has been shortlisted in a national writing competition and will now meet former Dr Who actor Peter Capaldi at an awards ceremony in London. The Year 10 student wrote about foster care for the Coram Voices Writing Competition, which is open to children in care and care leavers who are 25 or under. Voices is a celebration of creativity, talent and imagination, and the competition gives young people a chance to put across their views and improves understanding of their experiences. The theme for this year's competition was 'Growing Up' and winners each received up to £100 in Love2Shop vouchers, books, and the opportunity to attend the awards ceremony in London. Shortlisted entries will also be showcased on a special app featuring writing from children in care. Shannon said: "I am really surprised to have won. I enjoy writing but I did not expect this. I now get to meet Peter Capaldi who will be handing out the awards." Louth Academy Teacher Heidi Naylor said: "I forwarded the details of this competition to Shannon because she is an avid reader and enjoys writing, so I thought she might want to enter. There were hundreds of entries and Shannon was shortlisted. We are very proud of her."